Double Olympic gold medallist Charlotte Dujardin uses a gel pad with lambskin piping between the saddle and saddle pad as well as a therapeutic (“shaped”) gel pad directly on Valegro’s back. 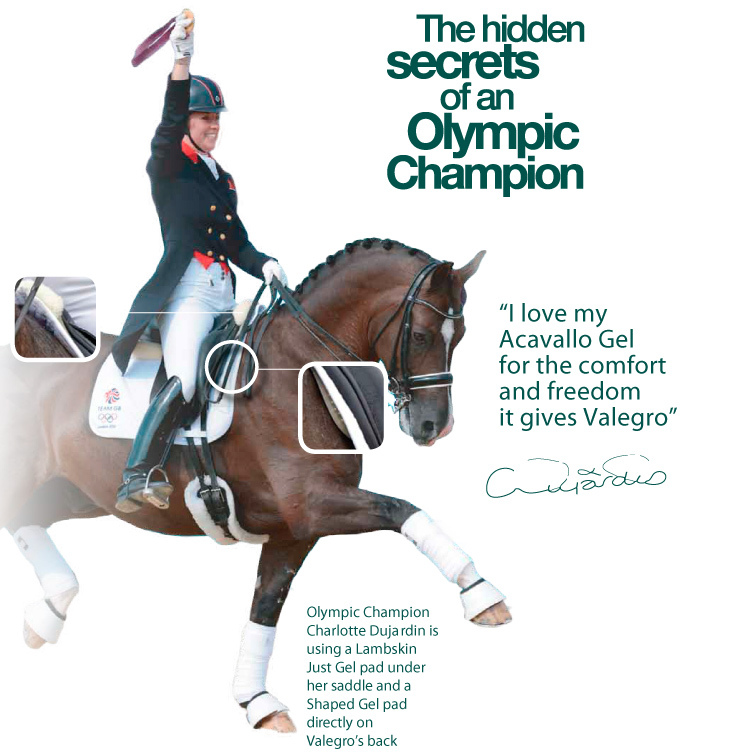 She says: “I love my Acavallo Gel Pad for the comfort and freedom it gives Valegro”, which could not sum up the design aspects and objectives of the Acavallo® gel pads any better: the increased feeling of wellbeing and the freedom of movement of your horse. Like Charlotte Dujardin in the world of dressage, a large number of national and international show jumpers also put their faith in the innovative gel pads, gel bandages and tendon boots from Acavallo. 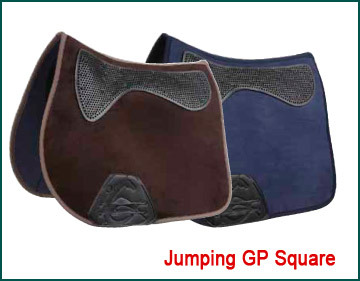 Various products for show jumping have already been developed, tested and produced in collaboration with several Olympic gold medallists and world champions (e.g. Franke Sloothaak, Philippe Lejeune). 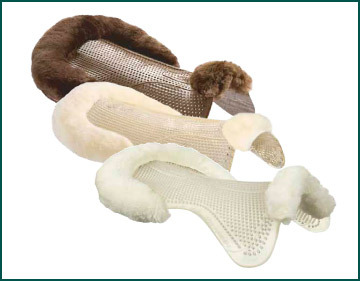 The new “Air Release” pad (innovative air circulation), the massage pad, which was tested by means of thermography, and the gel pads with a lambskin underside, which are available in various colours, are currently very popular with show jumpers. 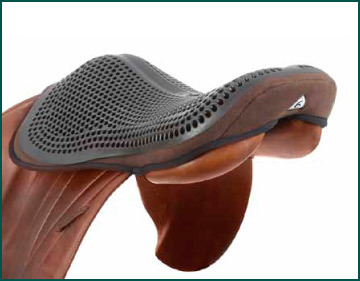 The “hidden secrets” of a double Olympic gold medallist:“About Acavallo”..
Half Pad offering superb low profile shock absorption with the advantage of non-slip surface to both the back &saddle simultaneously. Can be used directly onto the back or on any square or numnah. Half Pad with front & back rolled edges. All the benefits of the Gel with Dri-Lex lining, which breathes & wicks – can be reversed..
Now with smaller rolled edges. forms a discreet non slip layer on the back. 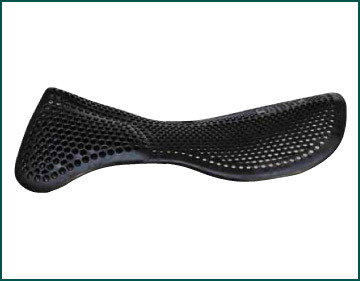 Will not distort fit of any saddle and can be used on its own under saddle or any numnah. One size but can be cut. the newest innovation from Acavallo. 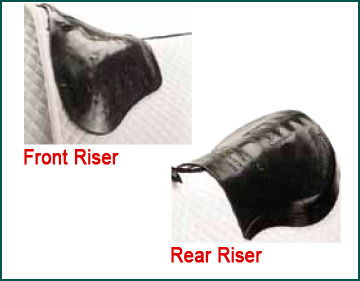 Air is compressed within the cells of this non-slip pad and is expelled as the horse moves creating a cushion under the saddle. Offers combination of exceptional shock absorbency & non slip. 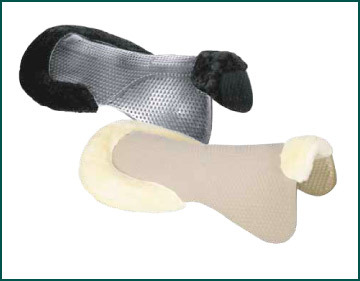 Can be used directly onto the back or between a numnah and saddle as an extra layer. 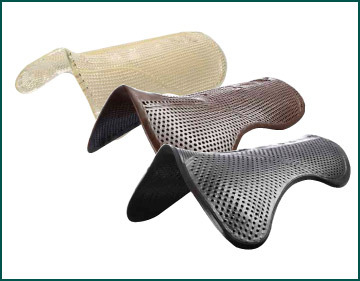 Three-in-one gel saddle pad combines a built in front or rear riser with non slip and shock absorbing properties. 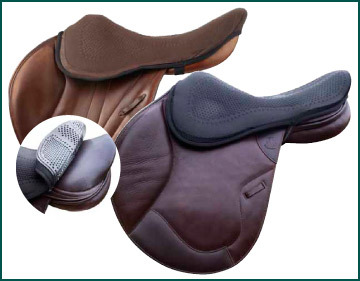 Low profile ideal for use under close-contact saddles and where the fit is too low over the withers or needs raising at the back. 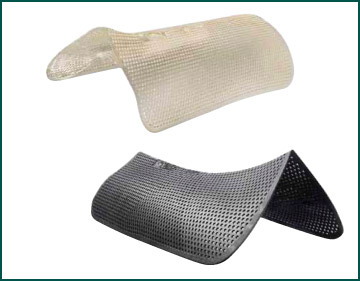 Can be used on any half pad, numnah or square also in conjunction with a Shaped Gel Pad. One size can be cut to suit. 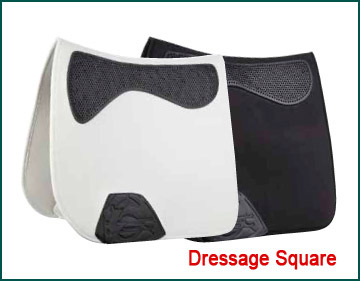 Absorbs concussion and balances gap under back of saddle. 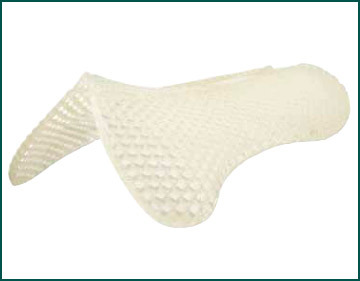 double sided gel pad delivers the benefit of Acavallo’s unique shock absorbing therapeutic gel to both the horse and saddle at the same time. Non-slip gel means pad wont move on the horse’s back, in any direction, and the saddle once positioned won’t move on the pad. No need for breast plates, tight girthing and velcro tabs. Low profile gel ensures no excessive bulk, combined with non-crease brush cotton fabric. 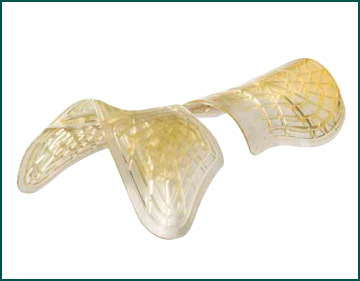 Shock absorbing gel reduces concussion and jarring in the lower back. With outer cover of soft suede like Dri-Lex for ultimate comfort and breathability. 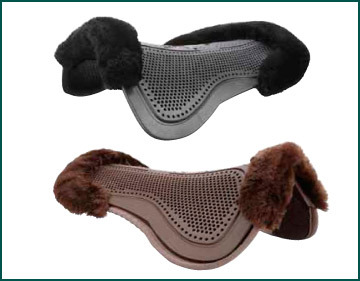 Discrete & easy to fit to any saddle. 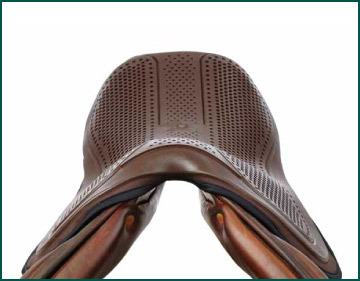 Unique breathable non-slip gel supports rider’s upper body stabilising the seat bones and preventing any unnecessary movement. 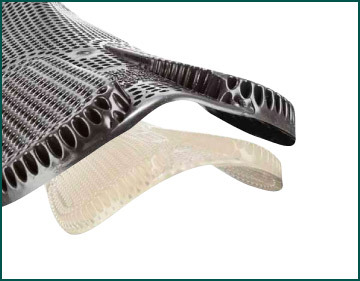 Shock absorbing gel reduces concussion in the lower back. the most comfortable and shock absorbent seat saver ever with an increased depth of Gel. The same non-slip surface keeps you secure. Too bulky for some but offering the softest of rides. Ideal for young & naughty horses! The seat saver with a big difference!